"Migrants Are Pigs": Caravan Member Says Tijuana Residents "Treat Us Like Animals"
Residents of Tijuana, Mexico aren't taking too kindly to thousands of members of a migrant caravan - hurling insults, rocks and even punches at the Central Americans which have arrived by the thousands in an effort to ultimately seek asylum in the United States, reports AP. Another caravan member, 57-year-old Carlos Padilla of Honduras, said a Tijuana resident shouted "migrants are pigs" as he passed by. 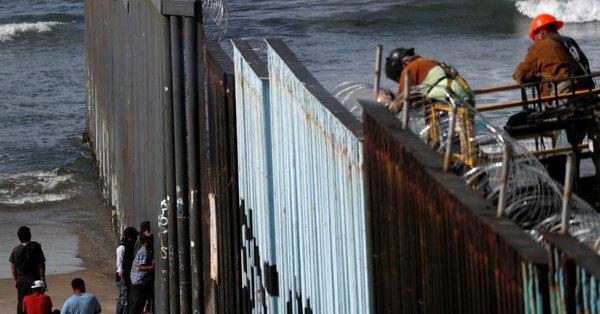 Tijuana mayor Juan Manuel Gastelum has referred to the arrival of so many migrants at once an "avalanche" that the city will struggle to take care of. He calculates that they will remain in the city for at least six months as they go through the process of filing asylum claims. At a rate of around 100 applications per day, US border inspectors won't be able to process all 3,000 names currently registered in a notebook that the migrants assembled en route. 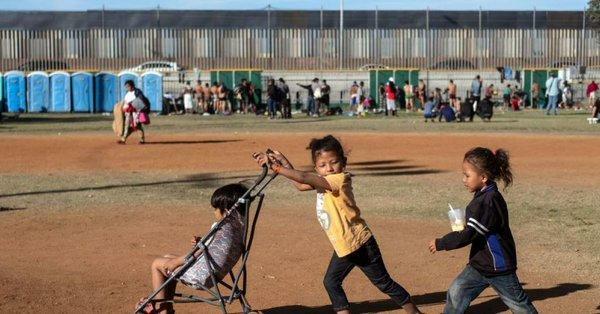 For now, the vast majority of the caravan is camped out on a dirt baseball field at an outdoor sports arena and underneath bleachers. The city opened the complex after their other shelters reached capacity, while church groups have chipped in to provide portable showers, bathrooms and sinks. Local businesses, meanwhile, have complained of migrants panhandling and stealing. 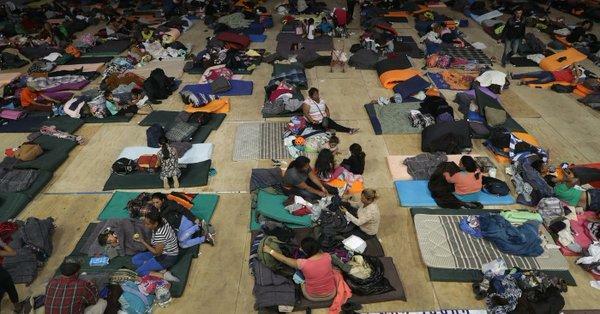 Up to 10,000 migrants could eventually end up in Tijuana, according to the federal government. 1,800 Hondurans have returned to their country since the caravan began its journey on October 13, according to Rivera. He hopes more will follow suit. 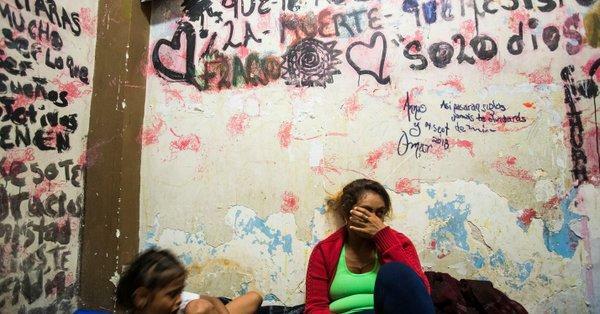 "We want them to return to Honduras," said Rivera, noting that each migrant must decide whether to apply for asylum in Mexico, wait in line for US asylum, or go home. 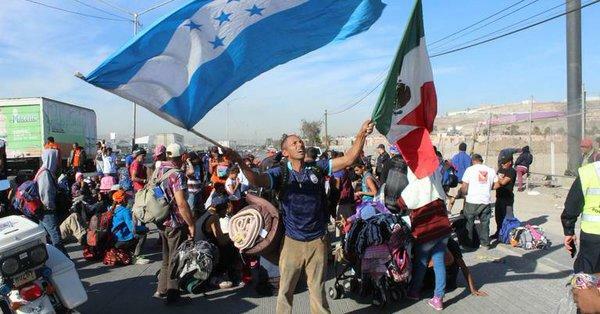 According to the Mexican Interior Ministry on Friday, 2,697 Central American migrants had requested Mexican asylum under a program launched on October 26 designed to expedite credentials for those who intend to live, work and study in southern Mexico. Tijuana resident Felipe Garza, 55, acknowledge that locals aren't exactly excited to help the migrants despite he and other members of his church handing them coffee and rolls at the makeshift municipal shelter. "It’s uncomfortable to receive such a big multitude of people, but it’s a reality that we have to deal with," he said. Trump "opening his heart" might be wishful thinking, however, as he tweeted just two days ago: "Isn’t it ironic that large Caravans of people are marching to our border wanting U.S.A. asylum because they are fearful of being in their country - yet they are proudly waving their country’s flag. Can this be possible? Yes, because it is all a BIG CON, and the American taxpayer is paying for it!"